Good News for Malaysian BlackJack!!!!! Last week, YG Entertainment make announcement about the date of 2NE1 2014 WORLD TOUR: ALL OR NOTHING LIVE IN MALAYSIA. 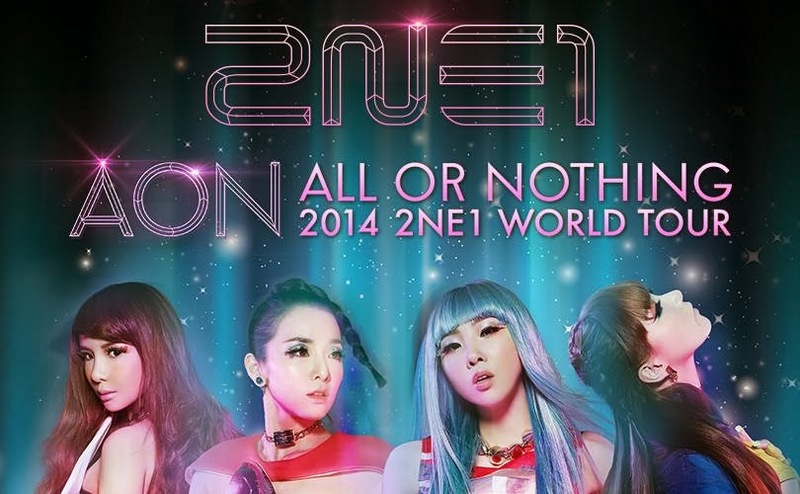 2NE1 will held the concert of 2014 World Tour: All or Nothing Live in Malaysia on 23 May 2014 (Friday) (7.30 pm) at Stadium Negara, Kuala Lumpur. The organizer of this concert is IME Productions. They will annouce soon the ticket concert's price and seating plan.